Fatima is a royal concubine in the royal court of Granda, the last emirate of Muslim Spain. Hassan, her best friend, is the palace mapmaker. Hassan has the power to draw maps of places he has never seen and bend the shape of reality. When representatives from the Spanish monarchy arrive to negotiate the sultan's surrender, Fatima becomes friends with one of the women, Luz. However, she didn't realize that Luz will see Hassan's gift as a threat. Fearing for their lives, Fatima and Hassan escape the palace. Will Fatima and Hassan be able to escape Luz? 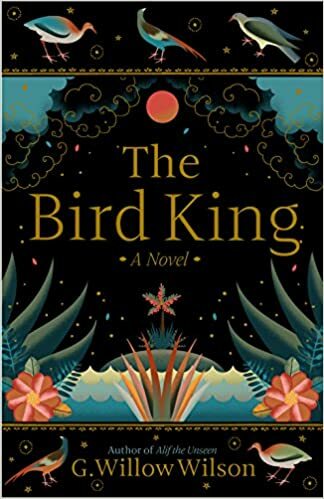 At first, I thought this novel was going to be a historical fiction novel but, it slowly became a fantasy novel instead. The novel was written beautifully in the beginning but halfway in the book, I started losing interest in the book. I felt like the story was a bit slow and boring. I found the parts with Vikram, the jinn to be the most interesting part of the story. After finishing more than 75% of the book, I lost interest in the book and couldn't finish it.